Finding your IP address under Windows 7 is a very simple process. 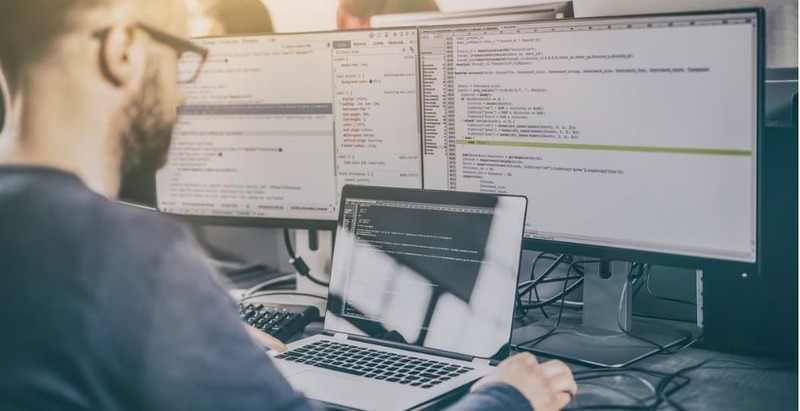 The process is exactly the same whether you’re using Windows 7, Windows Vista, Windows XP or even Windows Server 2003/2008. In most circumstances, the majority of users don’t need to worry about their “IP Address” due to DHCP from your local network or ISP. For system administrators, knowing the IP address of your machine, server, or customer’s PC is imperative. 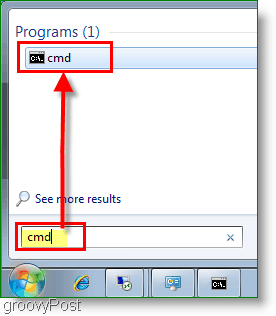 Click Start, in the search Type in cmd. Next, Click on the program cmd. This click will open the Command Prompt/Windows. You’ll see your IP address listed right above the subnet mask. Usually, it will say IPv4 Address and follow the prefix 192.168.1.# or 192.168.0.# for home networks as shown in the screenshot above. If you’re not looking for your LOCAL IP address but instead the IP address provided by your ISP to your Cable Modem or FIOS Router, just open your browser and go to: https://whatismyip.org. Please note – This is not the actual IP you’re using on your LOCAL computer as shown above in Step 2. This IP address is the one assigned to your Cable Modem/FIOS Router on the Internet. If you want to call someone, you use their Telephone or Mobile number, right? Well, an IP Address or Internet Protocol Address for a computer or network device is a phone number for your computer. That’s it. It’s pretty simple. Because no one knows the “Phone Number IP Address” for www.google.com, another technology was created to act as an Automatic Phonebook for IP Addresses. It’s called DNS. When you type www.groovypost.com into your browser, DNS will translate that into an IP Address and send you to the website. It’s all very simple once you understand it. In a system or network that uses IPv6, you won’t see a Subnet mask, and the address will follow the fe80::## prefix. However, for most home users, IPv6 use is uncommon. IPv4 is the old system we currently use to designate IP addresses across all of the public computers that are connecting to the internet. The problem with IPv4 is the address is only 32bit’s in length which means there are not enough addresses to go around. IPv6 is 128 bits in length which should allow for more than enough addresses in the foreseeable future. The good news is most modern operating systems understand both, so when the times comes for the cutover, it should be invisible for most users. Do You Have Any Groovy Questions or Comments? Drop your comment below, or join us in the groovyPost Free Tech Support Community. hello .. i want to use flatcast but i cant it says your port is close and i don not know i chance the ip address ……….. Unfortunately this doesn’t work at all. Windows 7: when I type “ipconfig” or “ipconfig/all” into the cmd line I get only a physical addres or “media disconnected”. Fail. @Megan, it sounds like the computer you are attempting this on isn’t even connected to a network. Plug the computer into a network via an ethernet cord, or connect to a wireless network, or tether a connection using your phone. Then try it again. On a side note, people are using the word Fail way too much, especially when it is actually they themselves who are the failure. This is what we call a UE, user error. Scroll up… Hogan was right. This is a simple case of PEBKAC. Didn’t work, I have Windows 7 and followed all instructions Hogan, you FAIL! Does anyone know how to connect to a routers home page for setup using Windows 7. I tried this on three different routers without success. Works ok using XP. On Win 7 get unidentified network using DHCP or fixed IP address. Hi there very cool website!! Guy .. Beautiful .. Wonderful .. I’ll bookmark your site and take the feeds also?I’m satisfied to find so many useful info right here within the post, we want work out extra strategies in this regard, thanks for sharing. . . . . .
I’m no longer positive the place you are getting your info, but good topic. I needs to spend some time finding out more or figuring out more. Thank you for fantastic info I used to be looking for this information for my mission. Hi @Jai — glad the article helped you out! Hi I wanna know how to make my IP address untraceable and private. Please advise your soonest thank you! this absolutely works. If it did not work for you you did something wrong. The instructions were laid out very simply. it displays both internal and public ip address for your desktop/mobile/tablet devices. Thank you very much for posting; I needed just this Powershell command for a college assignment! Hi. I see both an IPv4 and an IPv6 address on my command prompt and i’m confused as to which to use. When i click on http://whatismylocalip.com it gives me both addresses under local IP as well. So which should i use? Most likely you want to use the public IP address when you want to let somebody connect from an outside network (like the internet). You use the internal IP (something starting with 192… or 10… or 172…) when you want to connect to your PC from a device inside your network. If you are on a Linux System for ex, Ubuntu, Fedora, Mint, RedHat etc, use ifconfig command instead ipconfig. That was pretty useful article though. Thanks, I found my IP address right away thanks to your directions. Now I just need to find what (Port) means and what the answer is so I can finish installing an app.